RG9 3-jaw Chuck A 3-jaw, 60 mm dia. 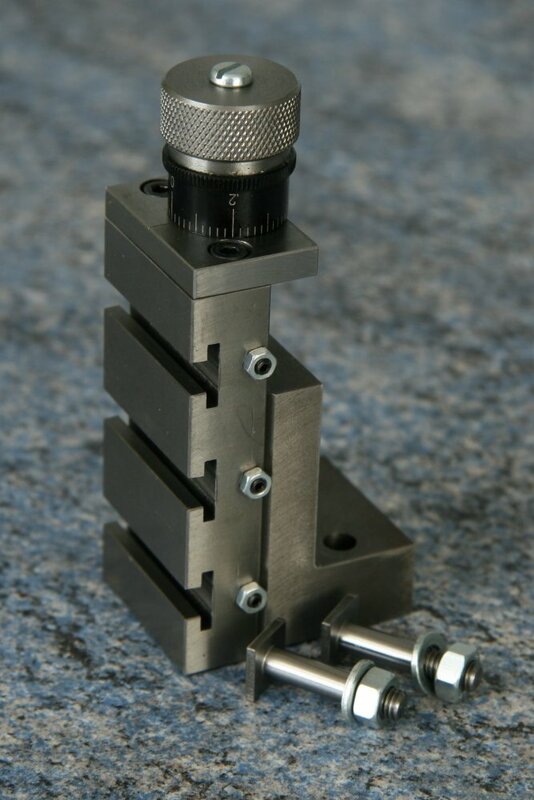 universal chuck threaded M14 x 1mm pitch. The (G200) 90 CW Lathe requires a '90 CW adaptor' (G13) to enable the mounting of 3- and 4- jaw chucks. RG10 4-jaw Chuck 4-jaw, 60 mm diameter chuck threaded M14 x 1mm pitch. 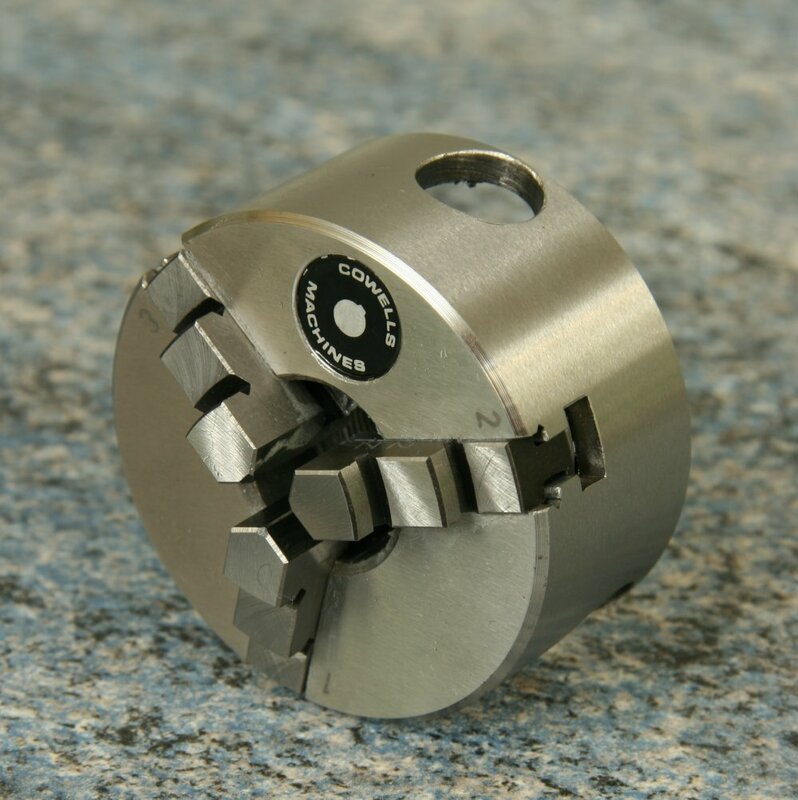 The 4-jaw chuck is predominantly used for holding irregular shapes. The (G200) 90 CW Lathe requires a '90 CW adaptor' (G13) to enable the mounting of 3- and 4-jaw chucks. G13 3- and 4-jaw chuck adapter 3- and 4-jaw chuck mounting arbor for the (G200) 90CW lathe. 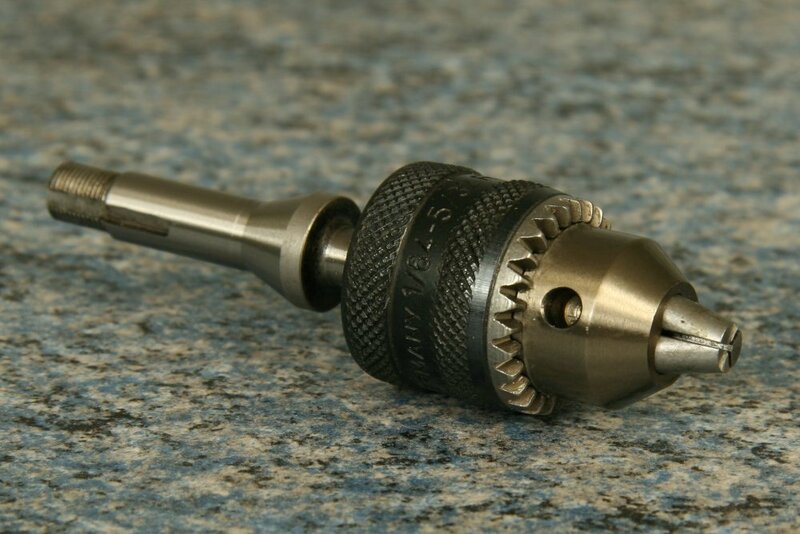 This arbor fixes to the 90 CW lathe headstock spindle via 3 xM4 cap head bolts and provides a M14 x 1mm thread for mounting (RG9) 3-jaw chuck, (RG10) 4-jaw chuck and (RG52) slitting saw arbor. The arbor is through bored 8mm diameter to allow bar material to pass through chuck and headstock spindle. 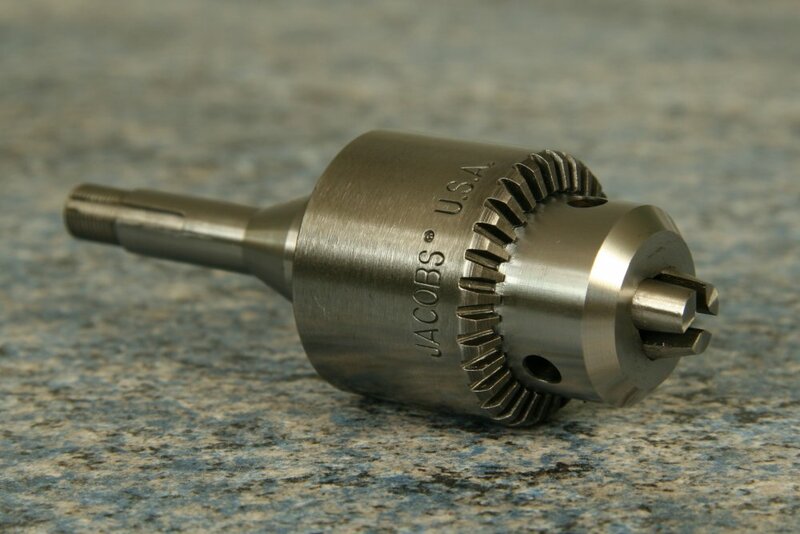 RGB15 A 0 - 6.3mm (1/4") drill chuck supplied with mounting arbor. 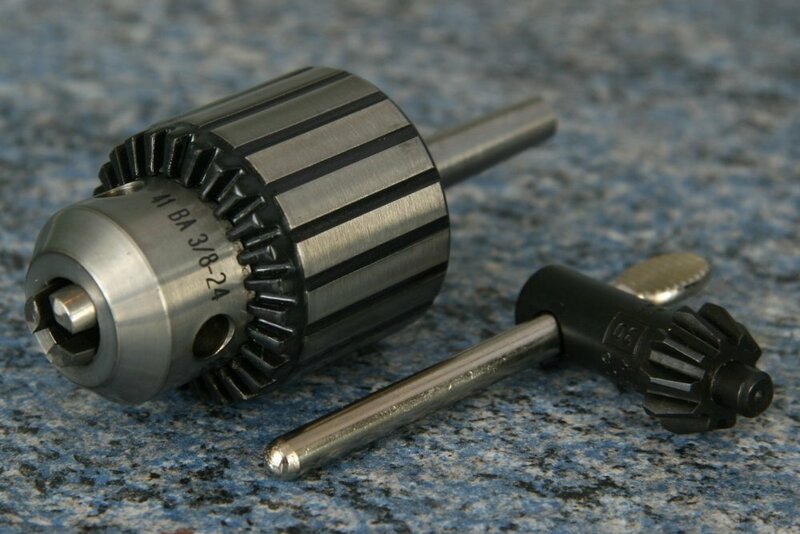 RGB16 A 0 - 9.5mm (3/8") drill chuck supplied with mounting arbor. G22IMP 1/16", 1/8", 3/16", 1/4" imperial collets (priced individually). RG28 Faceplate A cast iron slotted work holding plate of 90mm (3.3/4") diameter. 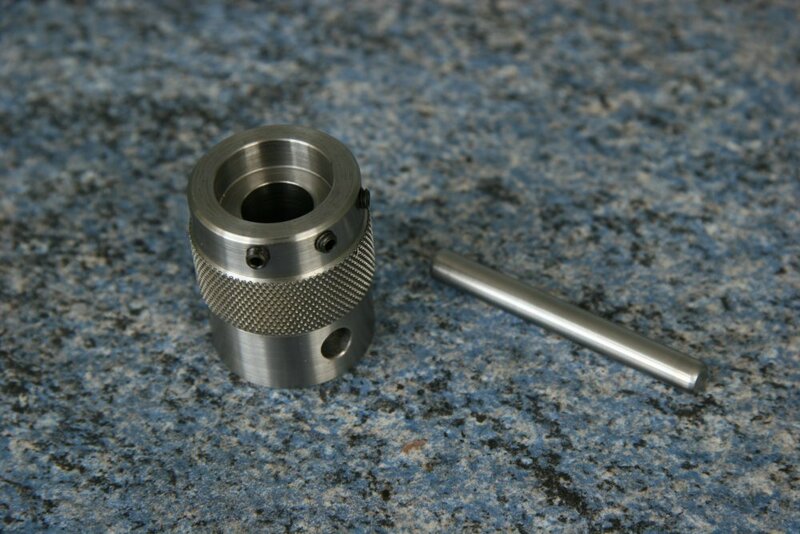 The (G200) 90 CW Lathe requires a '90CW Adaptor' (G13) to enable the mounting of the faceplate. G33 Male Centre 8mm shank solid centre for the tailstock. Hardened and ground. G36 Rotating centre Running in two high quality permanently lubricated bearings and ground for concentricity. The shank is supplied in parallel form and requires a 6mm horological Collet (G22). 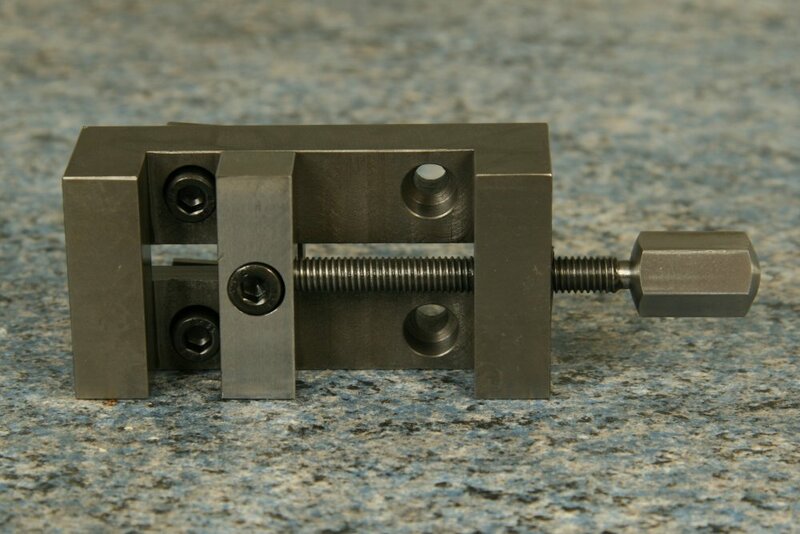 RG39 Fixed Steady The fixed steady has a machined tenon that locates in the lathe bed central tee slot and is then secured via its tee nut and bolt. The three adjustable arms are of brass. 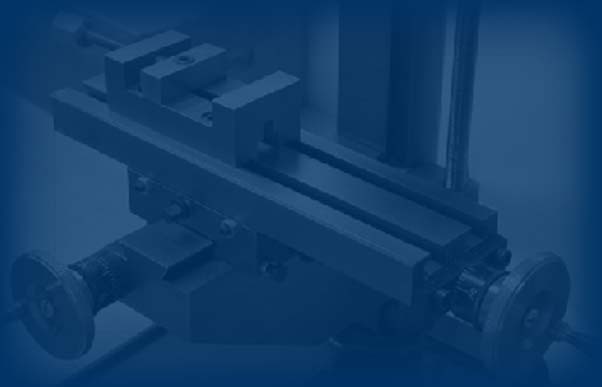 A fixed steady ensures the rigidity and concentricity of a long workpiece whilst machining. RG40 Travelling Steady The travelling steady affixes to the lathe's saddle and has two adjustable brass arms. The travelling steady is used when turning long thin bars. The steady's brass arms resist the deflecting thrust of the lathe tool thus ensuring a parallel finish. 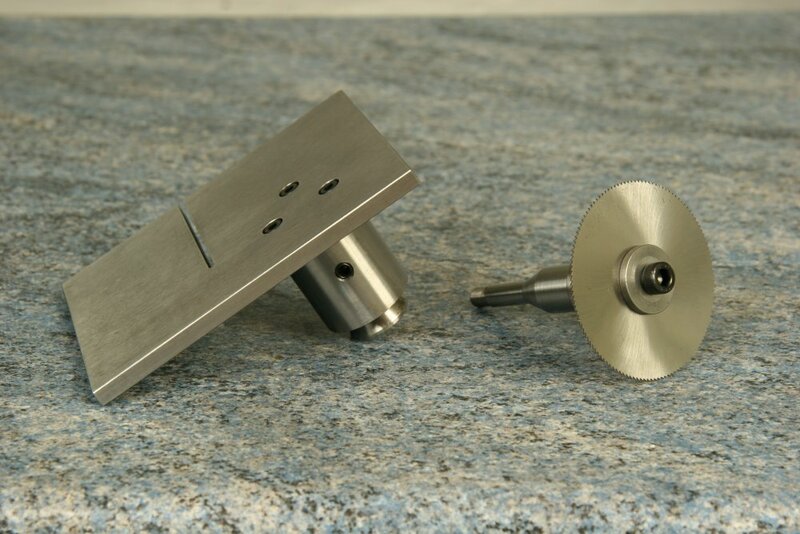 RG43 Quick Change Toolpost The quick change toolpost is of steel and is supplied with two toolholders, one plain for square shanked tools and one vee grooved for round section tools (e.g. a boring bar). (The unit can be supplied with two plain holders if desired). Extra toolholders (RG44) may be obtained individually. 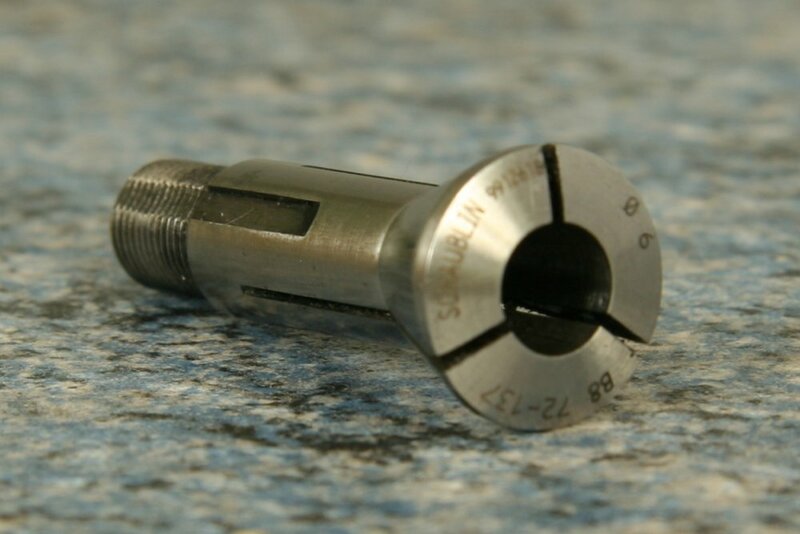 Each toolholder is fitted with a knurled adjusting knob for fine adjustment. The toolpost body is sprung, into which the dovetailed toolholders clamp via the cap head locking screw. 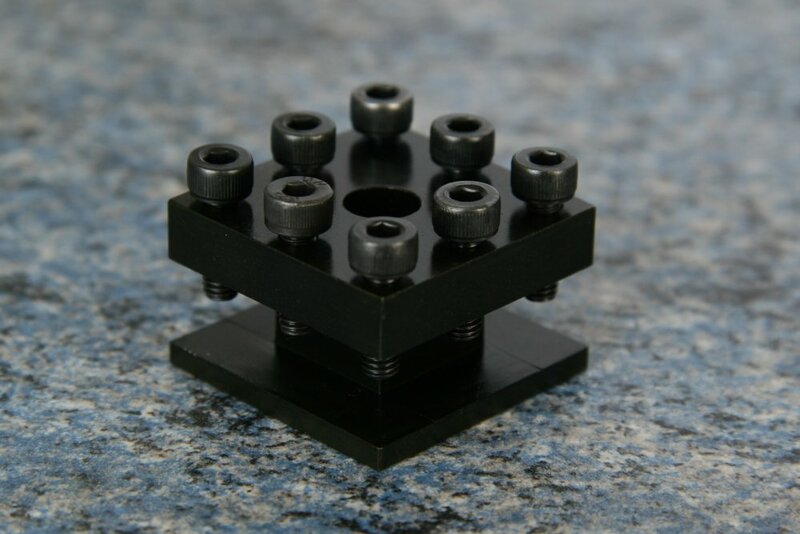 This accessory saves inordinate time and effort in shimming and reshimming tools for centre height. 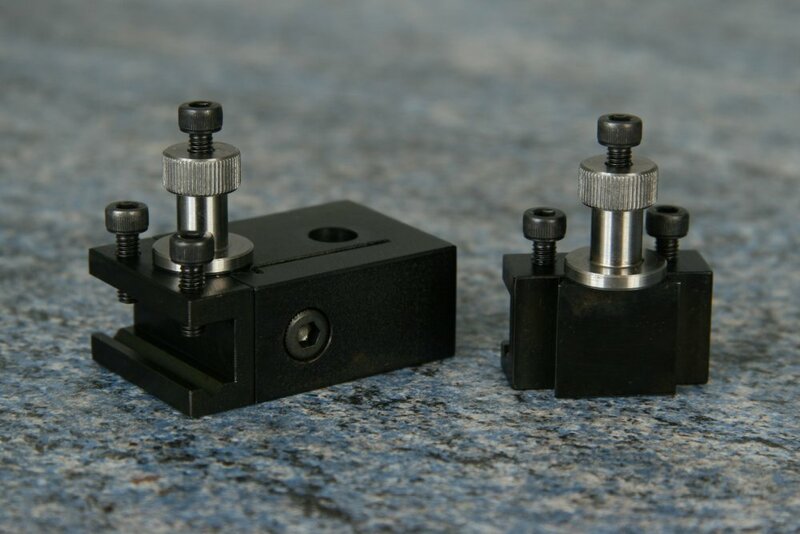 Toolholders will accommodate 7mm maximum tooling (fitted as standard with one plain toolholder to (G200) 90 C.W. Lathe). 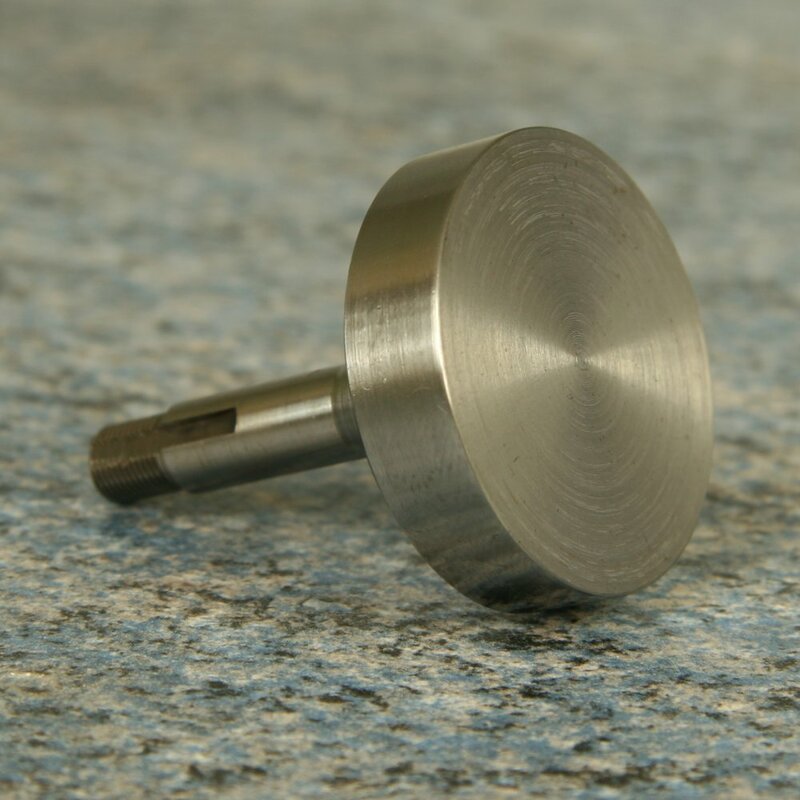 RG46 13/16" Dieholder Two steel dieholders are available featuring a heavy knurl and tommy bar holes to facilitate threading. The dieholders are bored to fit over the tailstock barrel without sideplay. 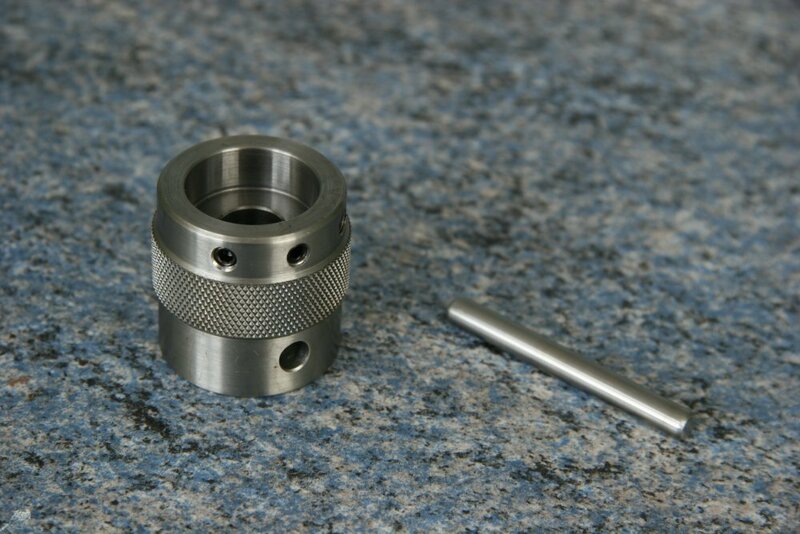 The advantage of cutting threads on the lathe is that the die is always applied concentrically and on the true axis of the work to be threaded, thus preventing a 'drunken' thread. 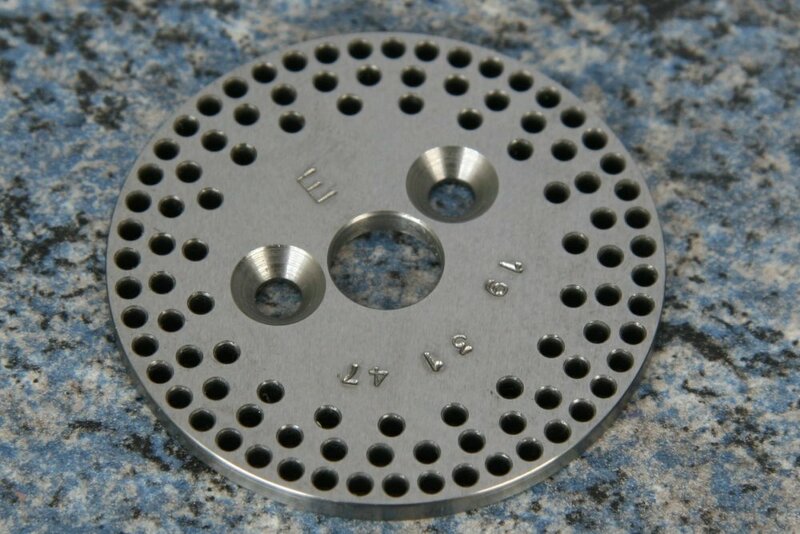 Inserts can be supplied, for other sizes please contact Cowells. No 1 Parting tool; for slicing through finished work in the lathe. 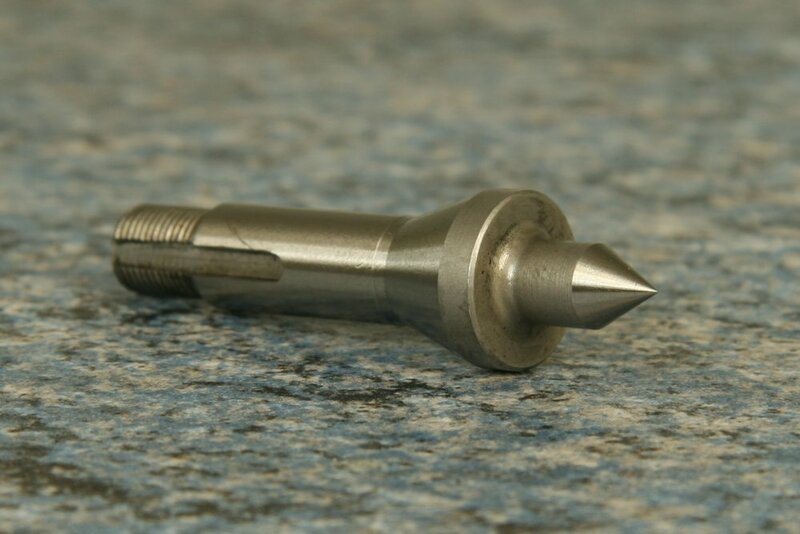 No 2 Roughing tool; for general cylindrical turning and, when set at right angles to the lathe axis, for facing. No 3 The boring of cylinders would be performed with this tool. No 4 Right hand side cutting tool (i.e. produces a right facing shoulder) for turning bar down and finishing to a shoulder. No 5 Left hand side cutting tool; will work close to the chuck jaws for facing the end of bar. No 6 Left hand side cutting tool for turning bar down and finishing to a shoulder. No 7 Right hand straight shanked side cutting tool. No 8 Internal (nut) screwcutting tool. No 9 Right hand side cutting tool; will work close to the tailstock centre for facing the end of bar. No 10 Boring tool; The cutting edge is ground square on this tool for machining recesses within a bore. No 11 External screwcutting tool. No 12 Left hand straight shanked side cutting tool. The slitting saw will cut metals, plastic and woods and ensure a straight square cut. 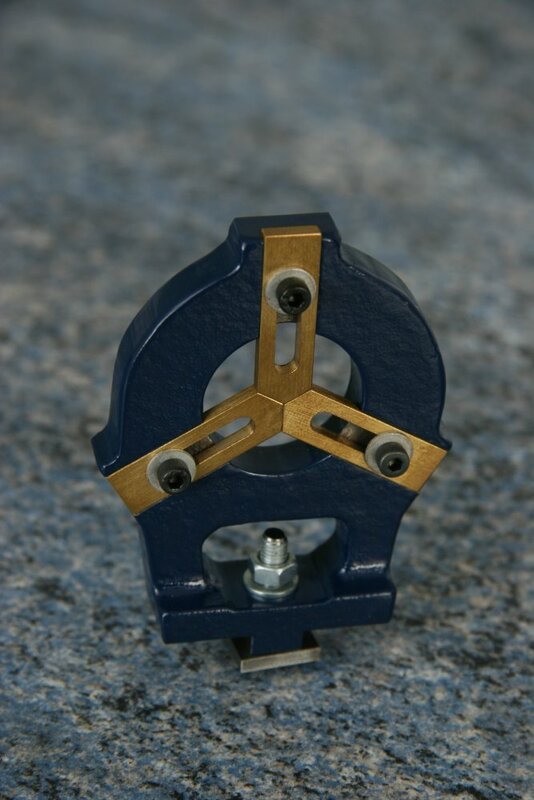 RG53 Roller Filing Rest This Filing Rest, used in conjunction with headstock spindle indexing, provides a means of generating accurate parallel flats, squares, hexagons etc. One example of its application is the ability to produce a square drive on a clock winding spindle. The two flanged rollers of hardened steel are used to guide a hand file across the work piece to produce a flat. The depth of this flat is determined by the vertical position of the rollers, and this, on the Cowells lathe, is geared to the cross slide feedscrew. 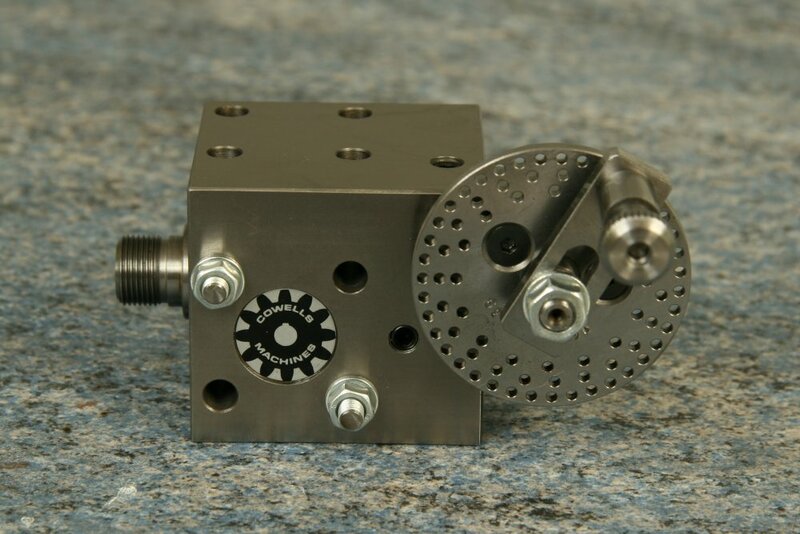 A drive block which has a groove milled at an angle in one face, drives the roller bracket up or down a pillar which is fixed by a screw to the tapped hole in the saddle. The ratio provides a change in the height of the rollers of 0.125mm (0.005") for a one division 0.025mm (0.001") movement of the cross slide handwheel. The roller flanges assist in controlling the length of the flat. Mounted on the lathe's carriage the length of the flat can be measured via the leadscrew handwheel. RG55 Vertical Milling Slide The Vertical Milling Slide facilitates a wide range of milling operations on the lathe. Of sturdy construction the slide features a cast iron body with a ground steel Tee slotted table. A full length adjustable gib strip is fitted. 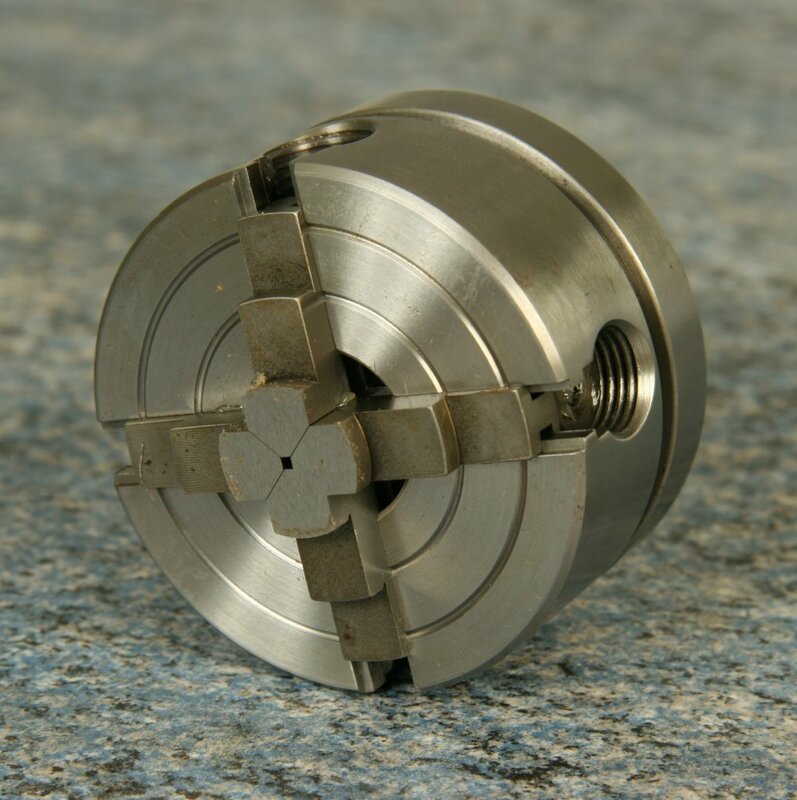 Fine feed is provided through the calibrated knurled knob graduated in 0.025mm (0.001") increments. The slide adds a vertical dimension to milling operations on the lathe. The slide is secured to the lathe's crosslide via its tee-bolts. 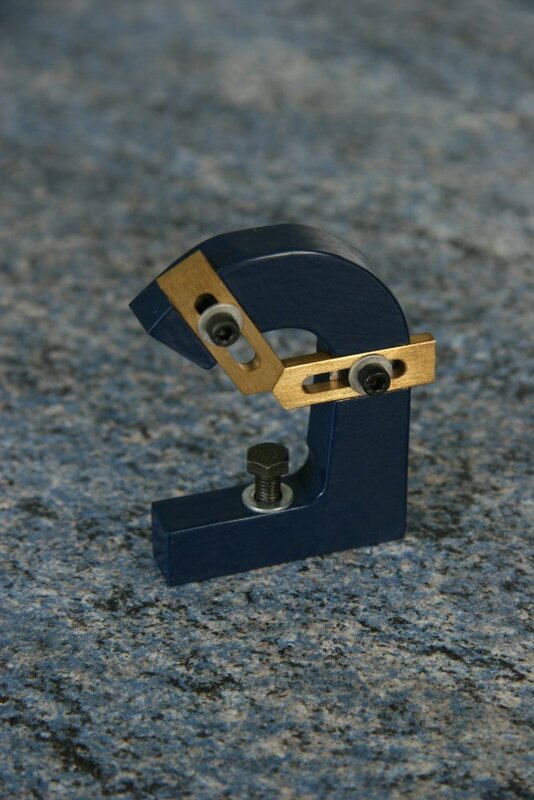 RG58 Tip-over Toolrest Of traditional design, the steel base clamps to the lathe bed via a tee nut and locking lever. The hardened steel toolrest may be turned through 360° adjusted for height and locked into position. 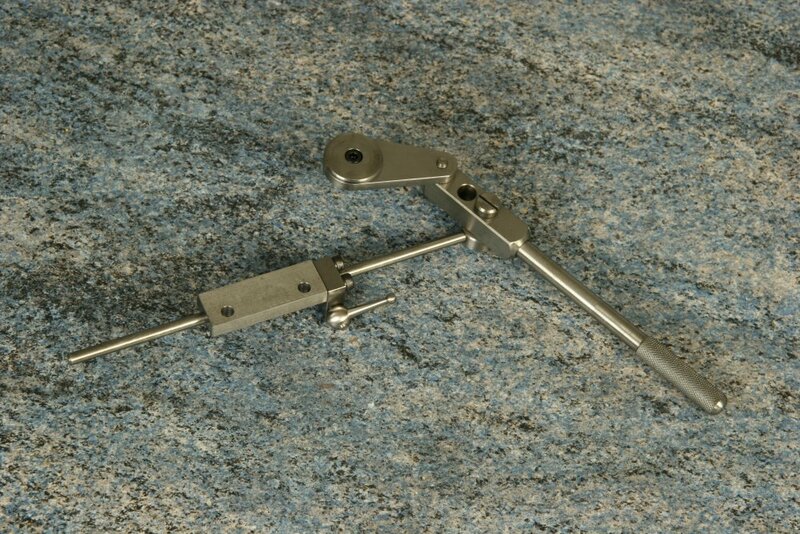 The toolrest sub-assembly is hinged in order that it may be 'tipped over' to allow closer inspection and further operations to the workpiece. RG59 Jacot Drum and Cone Unit This unit, based on traditional designs, provides the facilities for repairs to clock and watch pivots. It enables the user to re-form worn pivots and to fit new pivots by providing a means of drilling spindle ends accurately. The Jacot Drum is a work steady which contains a number of half-round 'beds' of various sizes. To meet requirements of clock and watch repairs, 33 beds ranging in size from 0.58mm to 9.5mm are provided on 3 drums, plus blank positions for the user to add any special sizes. The drum is mounted on the lathe cross slide in a carrier which is aligned accurately with the lathe centres. The spindle to be repaired is supported by a female centre(G34) at the headstock. The pivot at the other end rests in the appropriate size drum bed. The pivot is re-formed using a pivot file whilst the spindle is rotated by a bow. 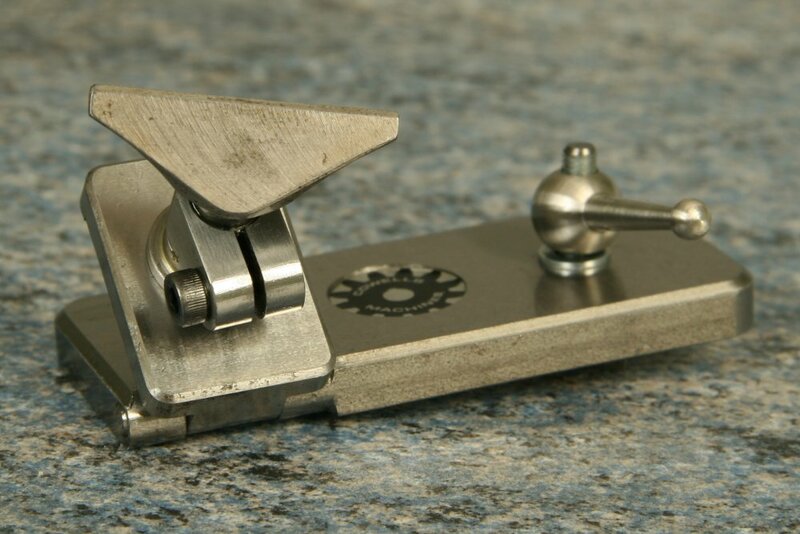 An adjustable, hardened steel roller is fitted to the carrier to guide the file or burnishing tool. RG60 Bowing Pulley Set Two steel pulleys of 1/2" and 3/4" diameter. Each pulley has three locking screws. (To be used in conjunction with RG59). (includes one index wheel RGB65) This index unit is a simplified form of the dividing head (RGB61). The unit features a solid steel body ground on all faces drilled to accept studs up to 6mm. The spindle has the same 14mm x 1mm thread as the lathe chucks, and may be locked via a brass pad and grub screw into position. The unit may be mounted on three of it faces. 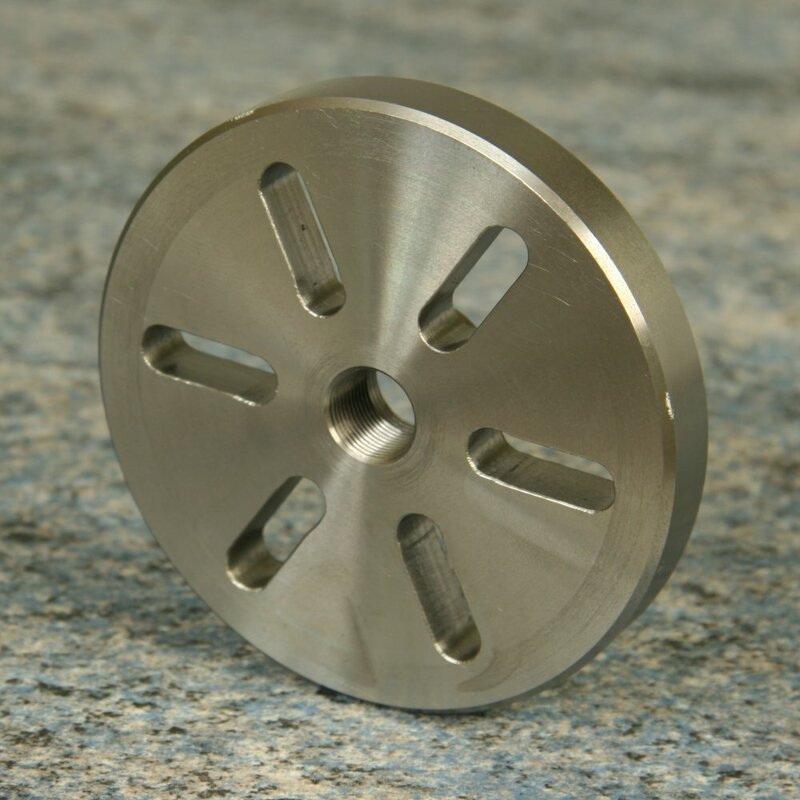 Six division wheels are available the unit is supplied with one wheel of the customers choice. 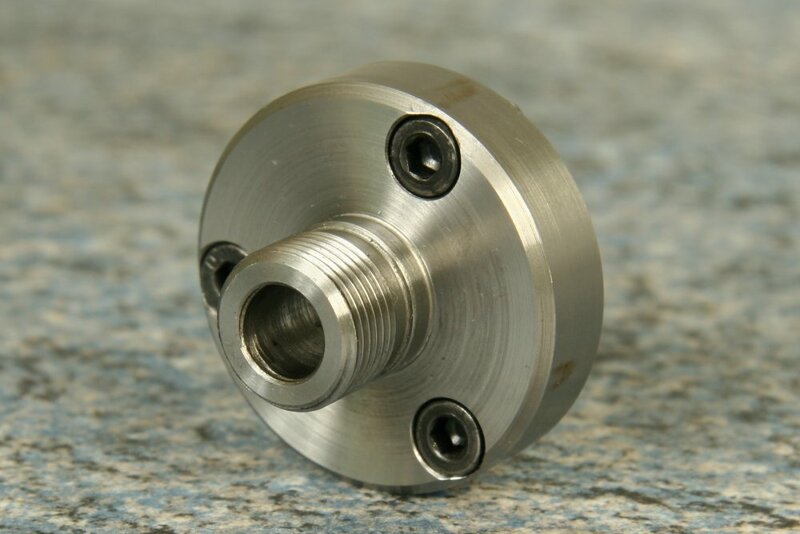 The accessory permits one to accurately rotate a component fixed to its spindle through a definite arc, by means of a plunger locating in a splined wheel. 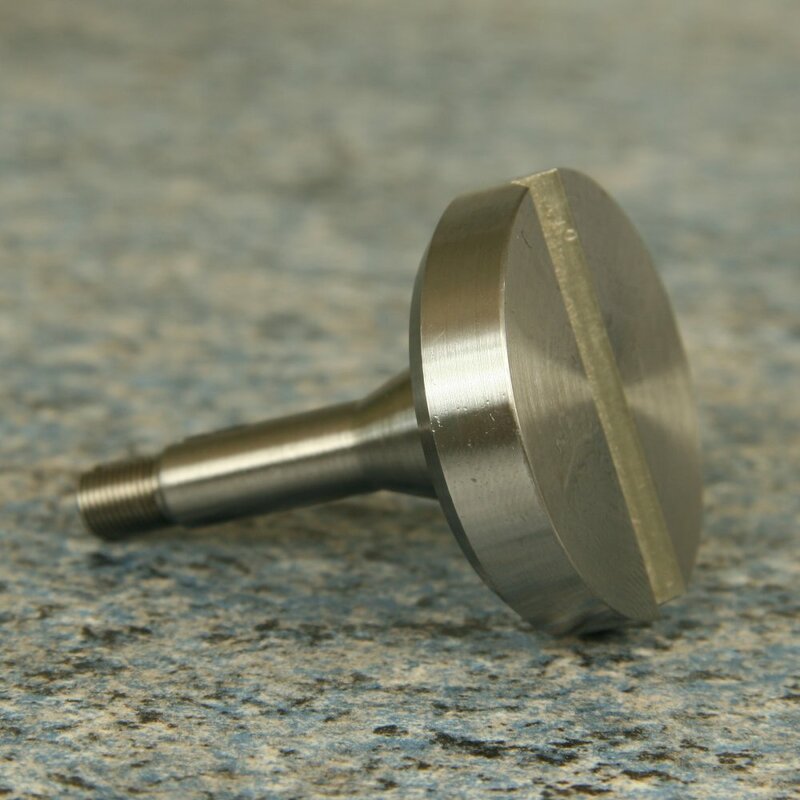 RG84 Knurling Tool The Knurling tool is supplied with a straight form knurling wheel. Wheels are interchangeable.